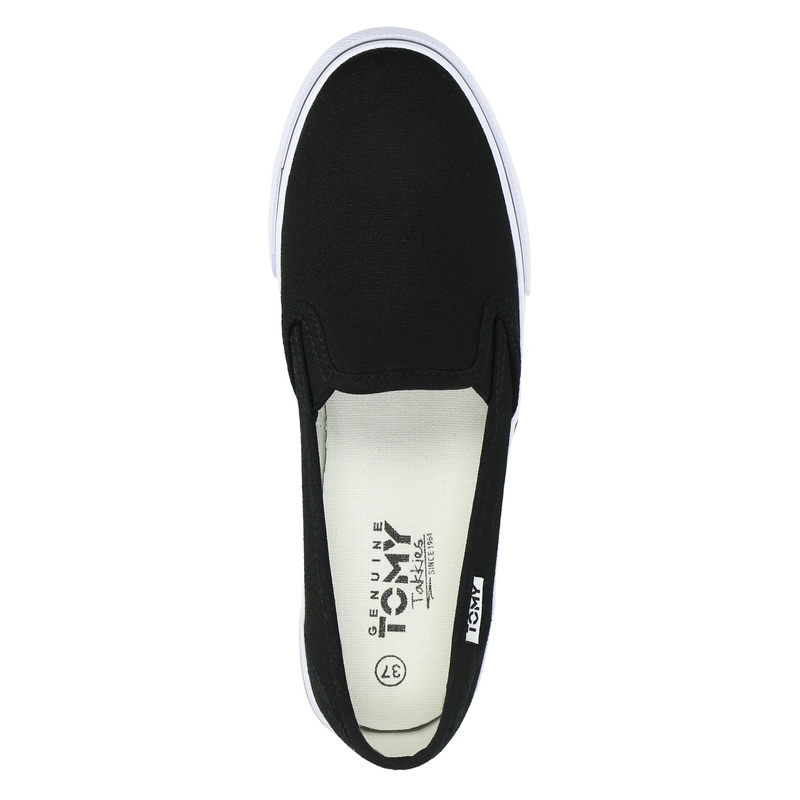 These trendy Tomy Takkies ladies’ slip-ons have a simple design and a decoratively stitched textile upper. 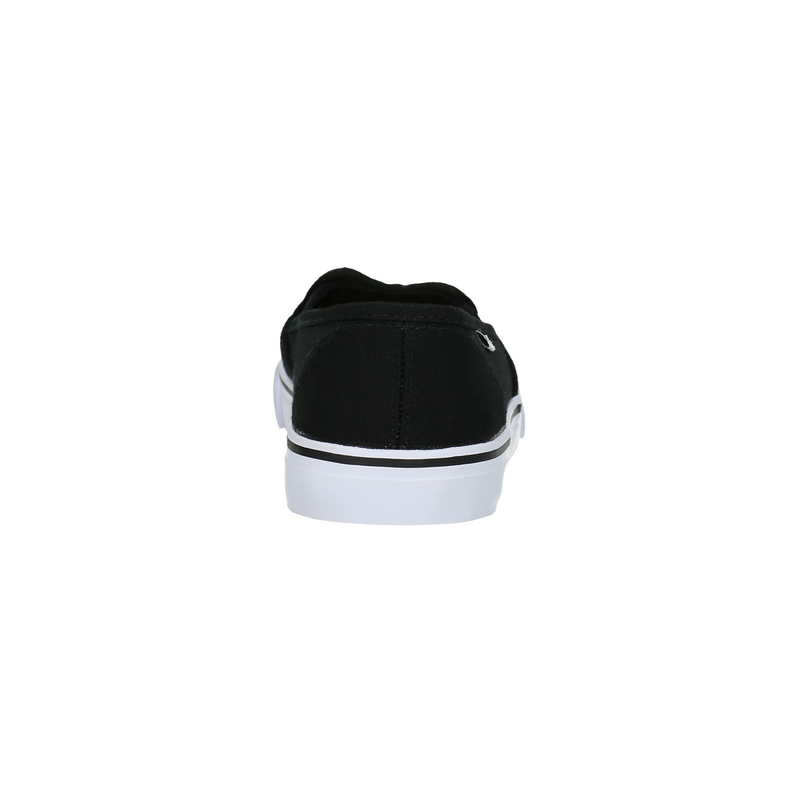 They naturally have a contrasting white sole to keep your feet feeling good all day long – this matches the logo on the side. 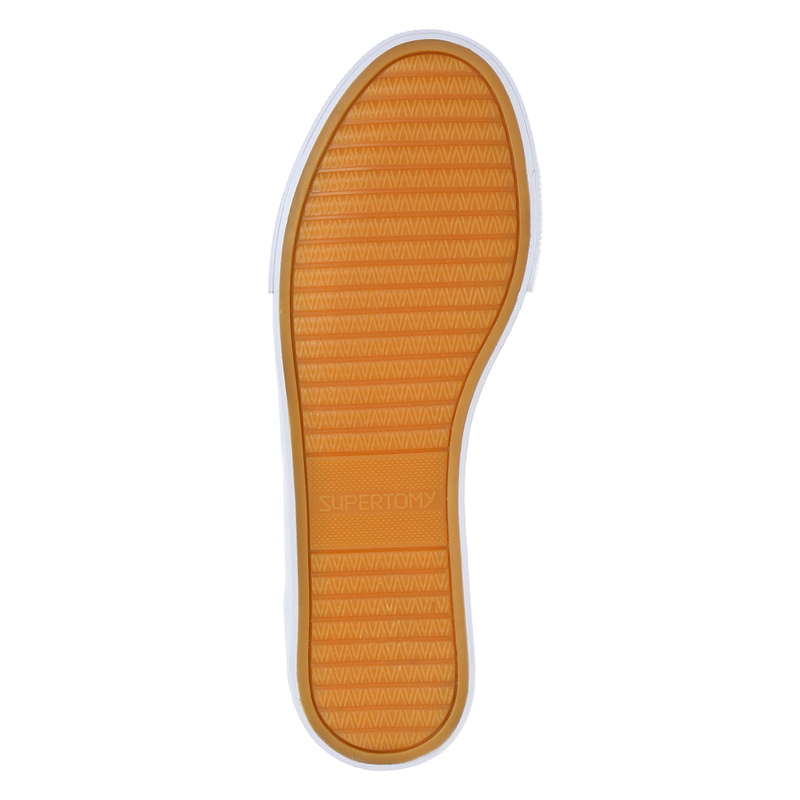 They also have elasticated sides to make them easy to put on and take off. 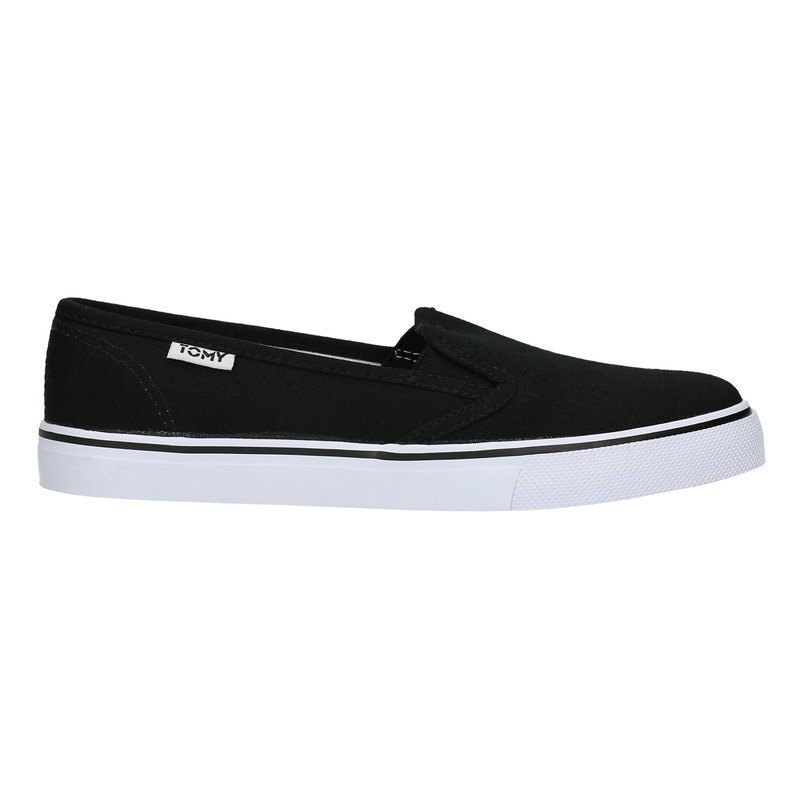 Combine these with shorts or a dress to complete your urban style.